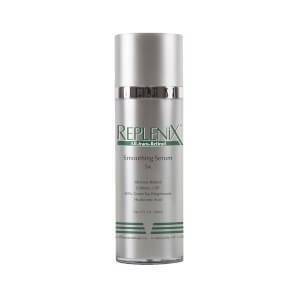 Replenix Triple Antioxidant serum combines the power of 90% green tea polyphenols, caffeine and resveratrol to give unprecedented antioxidant protection. Hyaluronic acid moisturizes and cucumber cools the skin. Resveratrol is a naturally occurring antioxidant found in red grapes. Caffeine enhances the antioxidant properties of the serum. Visibly reduces redness and puffiness while reducing the appearance of fine lines and wrinkles. Ideal for all skin types including rosacea, sensitive skin and post-procedure. Ideal for all skin types, especially oily, acne-prone skin. Purified Water, Caffeien Usp, Sclerotium Gum, Camellia Sinesis (green Tea) Polyphenols, Sodium Hyaluronate, Resveratrol, Bisabolol, Cucumis Sativus (cucumber) Fruit Extract, Chamomoilla Recutita Flower Extract, Glycine Soja (soybean) Extract, Rosmarinus Officinalis (rosemary) Leaf Extract, Glycolic Acid, Polysorbate-20, Sodium Benzoate, Tetrasodium Edta, Phenoxyethanol. I finally found the best serum ever. It protects and hydrates like nothing I ever tried before. My skin looks so vibrant and fresh. Been using for several years based on my dermatologist's recommendation. Tried something twice as expensive for a couple of months and reverted to red, blotchy skin. I will never be without this product again as long as they keep making it. I'm 69 and have a few well-earned wrinkles but my skin is calm and soothed. 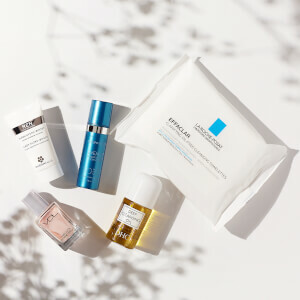 Was looking for a serum that is effective but doesn't break the bank like some of the other brands I have used!! This did not disappoint!! Light and hydrating!! Feel fresh and young. 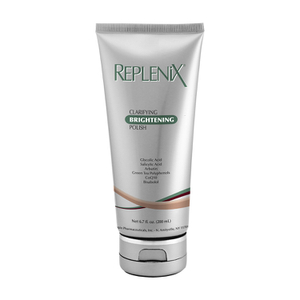 I had used another Replenix product so thought I'd give the Power of 3 a try. Have loved everything about it, so just purchased another bottle. My skin truly looks vibrant, fresh and the texture is amazing. Gotta have it. Works great on some slight discoloration on my face. With continued use, you will notice a more even complexion. Plus, the antioxidants don't hurt. Excellent serum. This product makes my skin glow. I would recommend it to a friend. Very gentle on sensitive skin. I'm a big fan of the Power of Three cream and decided to try the serum. While I find it non-irritating, I don't find it as soothing and calming as the cream is for my dry and sensitive skin. I also found that I had trouble properly layering this with other products because of its tendency to "pill" on my face. I've started using the container I have as an antioxidant before red light treatments and it's fine for that purpose, but I won't repurchase. I do think this serum would potentially work well for someone with oily skin.